Raynaud’s phenomenon comes about because of environmental or emotional stress. It can be part of another disease such as lupus or be a complaint occurring of its own accord. There tends to be cold extremities all year round but during the colder spells of winter, symptoms exasperate and there can be pale or white, cold extremities with numbness. As the condition worsens the extremities can turn blue. The mechanism and cause is not really understood. The condition can subside for no reason at all but the symptoms of swelling and painful pins and needles can then just present themselves again at a later date. Western medicine has little to offer for treatment for this condition. For example, there is only one medication, Nifedipine, approved for treating this condition in the UK. Research from Germany has confirmed that acupuncture significantly decreased the number and severity of attacks. The research involved the patients having a short course of only seven acupuncture treatments, so the long term prognosis for treating this complaint is very favorable if a complete course of acupuncture is given. Other research has shown that acupuncture can improve the micro-circulation which is much needed in Raynaud’s phenomenon. Women are more susceptible than men and it is more common in cold climates. Warming up the hands can stimulate the attack to subside. Chinese medicine looks at the cause of this condition quite simply. If it gets worse from exposure to cold such as in cold weather extremes or even just handling a cold milk bottle, and improves if you attempt to warm the hands or feet, then the cause of the illness is due to cold. The treatment is to disperse the cold and strengthen the body so it is not vulnerable to cold weather. Ancient Chinese physicians viewed that the kidneys were connected to the bladder which as we know releases the water from the body. If the kidneys are weak for some reason, then the water will not flow properly and become cold and get stuck. As the “water”, or more correctly termed, as the “fluids” within the blood try to flow through the smaller blood vessels at the fingers and toes, they get stuck.Treatment is then focused around warming the kidneys and acupuncture points on the kidney meridian are selected as well as the warming technique of moxibustion is employed. 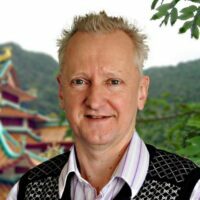 Well known Gold Coast acupuncturist, Alan Jansson, has recently returned from Japan where he visits regularly to study with his mentor Ikeda Sensai. 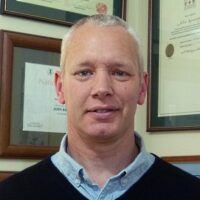 Alan says “Particularly in the north of Japan, and especially in the winter, Raynaud’s sufferers seek out the skills of acupuncturists using moxibustion treatment to help promote energy and blood circulation“. Alan is presenting a seminar and workshop February 15-16 2014 in Auckland. The Chinese physicians also were aware that the emotions or an imbalance in them, could cause cold finger tips and toes. In particular anger, irritability and frustration affects the liver which then stops the free flow of energy circulation reaching the extremities. Chinese herbs can also be used to treat Raynaud’s phenomenon. Chinese herbs are classified in many ways including the temperature and nature. For example cinnamon is warming and dispersing and can be used to circulate yang energy into the extremities. This is also why some foods or herbs such as peppermint may aggravate Raynaud’s phenomenon, because they might be too cooling.